I think we can all agree that timely delivery is crucial if you want to establish a long-term relationship with your customers. According to a Voxware survey, 55% of the respondents stated that they would discontinue shopping from a retailer after two or three late deliveries. And, 59% of the respondents said that they would abandon shopping with a retailer if they received two or three incorrect deliveries. Supply chain management solutions have evolved over the last couple of years with a stringent focus on ensuring timely delivery. However, the “last mile” of the supply chain still remains inefficient and is often a major barrier and challenge to making timely and accurate deliveries. This is where route scheduling software proves to be of immense help. Being the least efficient leg of the supply chain, last mile deliveries contribute to 28% of the transportation costs which is also known as the last mile problem. But, routing optimization software helps you fix several areas of delivery operations to reduce the costs and make your last mile deliveries more efficient. So, let us learn more about the last mile delivery problem and how such software can help you solve the issue. When you plan your routes with pen and paper, last mile deliveries could be challenging. The reason for this is that you cannot guarantee that the drivers will get 100% accurate routes. And, this could lead to drivers being stuck in traffic due to left turns or driving in congested areas or down under-construction roads. GPS devices cannot help you either because they do not update automatically to any route changes.But, when you opt for a route optimization software you need not worry about the accuracy of your routes. Unlike GPS devices which you need to update manually in frequent intervals, such a software updates itself based on the latest and historic traffic and weather data. So, you always get the most accurate routes. Other elements and obstacles that can make it challenging to reach the final point of delivery. And, fleet route planning software helps drivers make their way right to the correct loading dock, while improving efficiency and safety. Routes can also be created to accommodate weight and hazardous material restrictions in many municipalities. Moreover, the best part of such software is that you can plan routes by factoring in several constraints within just 30 seconds. These constraints include weather data, left turns, weight and more. Watch this video to learn more about how you can do this. Drivers are the face of your company on the road. So, it is very important to manage them carefully to ensure that they do not tarnish your brand. One of the best possible ways to do so is to be in total control of your drivers. You need to be aware of every nitty-gritty detail of your drivers’ activities to ensure that they are not guilty of foul play. This is where the GPS tracking feature of a route optimization software could prove to be very useful. Are they making personal stops? Are they stuck in the middle of the road due to a breakdown? Answers to these questions would be available to you. This would help you strengthen your last mile delivery process as you will no longer be dependent on the drivers. GPS trackers offers even more information. Read the following article to learn more about the benefits of GPS tracking and how it can give your business a competitive advantage. You can make several strategies or plans and set goals to ensure efficient last mile deliveries. But, setting goals does not matter much until it is realistic and achievable. For example, you could set a goal that each driver should make 150 stops every day and make plans accordingly. But, how can you be sure that they can really make it? And, if your goals are not met, your entire strategy will fail. So, before setting a goal, you first need to analyze historical data. Using the above case as an example, you need to identify how many stops each driver currently makes? If the drivers make less than 75 stops each, go to the root of the problem to find out why? Just giving them a target of 150 or 200 stops will also not help, unless you fix what is causing them to make fewer deliveries. There could be several reasons for the insufficient amount of deliveries. For example, they could have inefficient routes or the average time spent at a customer location is more than the allocated time. So, you need to stay informed to make sure you make the right decision. And this is what a route scheduling software helps you do. It offers a reporting and analytics feature that actively tracks all your trucks and displays the total miles driven, gas consumed, and more. For example, as mentioned in the beginning, last mile deliveries contribute to 28% of the total transportation costs. So, with routing software, you can identify what causes the cost percentage to be so high and make strategies to help you cut down the expenses. Read the following article to learn more about the other reporting features that such software offers. Customers prefer loyal and truthful service providers. For example, if a customer expects a product to be delivered by 3 p.m., you have to stick to that deadline or the customer will be furious. Even a couple of minutes’ delay can irate the customer and cause a negative brand image. Fleet routing software can help you here as well. Your drivers will get well-optimized routes so they will never be late for a delivery. Moreover, its GPS tracking feature keeps you informed of every driver’s activities. In this way, if a driver is stuck on the road due to a sudden breakdown, you can inform the customers about the delayed deliveries in advance. Also, you can reroute another driver who is nearest to the customer location in real time to make the delivery. Doing so will not only ensure a great customer experience but will also allow you to increase your hit density or the number of deliveries your drivers make during any given shift. And, the increase in the delivery rate will reduce the overall expenses of running that route. In this way, any improvement can go straight to the bottom line. Remember, customer-specific delivery restrictions, customer delays, challenging loading zones, and perishability of freight will work against your route efficiency and hit density. Vehicle route planning software can take those elements into consideration, build a route to minimize their impact, and create more accurate ETAs. Drivers often need to collect paper forms during the delivery process which increases the amount of time they need to complete a delivery. The paperwork eats into the productivity of the route and increases costs. But, routing optimization software nullifies such problems as well. It offers an eSignature feature that helps drivers capture customers’ electronic signatures directly on their smartphones. They can then upload the signatures to the office within minutes. The drivers just need an internet connection with their smartphones in the field. This feature eliminates the need to physically store and secure bulky paperwork. So, you can have an electronic copy of the delivery confirmation or agreement on record. It also nullifies the risk of signed orders becoming damaged or lost in transit to the office. In this way, you will have near-instant recall later if required. Also, in an industry where drivers must maintain fuel tax logs or hours of service (HOS), planning and routing software can automatically track such information. This eliminates another time-consuming pile of paperwork for the driver and frees up valuable minutes to increase hit density. 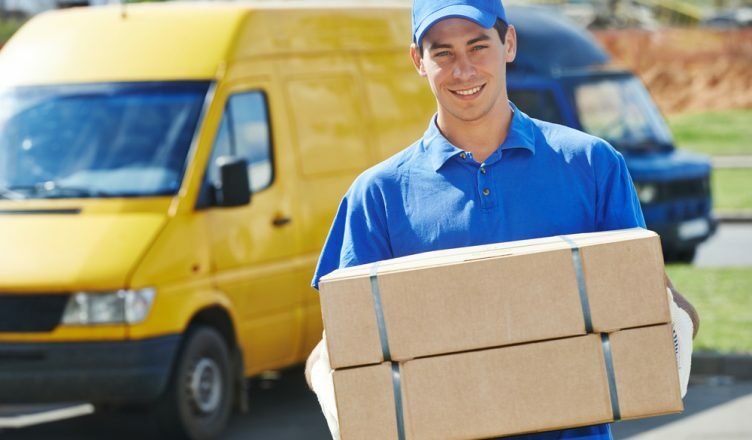 The delivery companies and logistics providers that are able to perform last mile deliveries in the most efficient and smartest fashion will win out. So, you need route scheduling software as it can give your company a much-needed and critical competitive advantage. How do you make your last mile delivery process efficient? Let us know in the comments section below.